Founded in 1996, TP-LINK Technologies, operating with TP-LINK brand is a global manufacturer of computer networking equipment. TP-LINK is a leader in worldwide deliveries of wireless LAN products, and their range also includes ADSL, 3G, 4G routers; switches, print servers, web and IP cameras and many other devices. TP-LINK starts its first international expansion in 2005, and in 2007 the company moved into its new 100,000 sq. m. base in Hi-Tech industrial park located in Shenzhen, China. TP-LINK USA was established in 2008 and after the entry of the brand in the international market, their products are sold successfully in over 120 countries. In the first quarter of 2013, TP-Link owns 42.2% of global market share of WLAN equipment. The company conforms to ISO9001: 2000 - International Quality System and their production facilities are equipped with lead-free ecological equipment (ROHS) and in accordance with all international standards for environmental protection. All TP-LINK products have quality certificates and offer reliability and safety to its customer. VIKIWAT Ltd. is a wholesaler and retailer of various computer and internet related products and offers a wide range of TP-LINK catalog. In our offline and online stores, you can find in stock quantities and affordable prices of desktop switches, various wireless routers, powerline adapters, USB adapter to enhance wireless internet signal, network cards, WI-FI high gain adapters and other accessories. Wireless Router TP-LINK, TL-WR840N, 300Mbps Wi-Fi Router TP-LINK, TL-WR840N, 300 Mbps, 10 /100 Mbps. Wi-Fi Router TP-LINK TL-WR802N 300Mbs, 2.4GHz Wireless router TP-LINK TL-WR802N 300Mbs, 2.4GHz. Wireless Router TP-LINK, TL-WR940N, 450Mbps Wireless Router TP-LINK, TL-WR940N, 450 Mbps, 10 /100 Mbps. 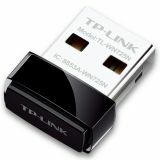 Wireless USB adapter TL-WN725N, Wi-Fi, 150Mbit/s Compact TP-LINK TL-WN725N Wifi Adapter with a speed of up to 150 Mbit/s, black and 18.6 x 15 x 7.1 mm. Wireless USB adapter TP-LINK, TL-WN722N, 150Mbps Wireless USB adapter TP-LINK TL-WN722N, USB A 150 Mbps. Desktop switch, TP-LINK, TL-SF1005D, 200 Mbps 5 10/100Mbps Auto-Negotiation RJ45 ports Supports Auto MDI / MDIX Green technology saves the power up to 60%. 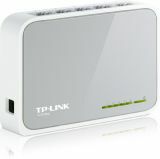 Desktop switch TP-LINK, TL-SF1008D, 200 Mbps Desktop switch TP-LINK with 8 x 10/100Mbps Auto-Negotiation RJ45 ports. List Price 23.50лв. VAT Incl. 22.32лв. VAT Incl. Range Extender, 300Mbps Wi-Fi, TP-Link, TL-WA855RE The range extender works with any Wi-Fi router. Suitable for home and office usage. Wireless router TP-LINK, TL-WR740N, 150Mbps Wireless router TP-LINK,TL-WR740N, 150 Mbps 10 /100 Mbps. Powerline internet adapter TL-PA4010PKIT, 500Mbps Turn any electrical outlet in your home into an internet source. TL-PA4010PKIT uses the existing electrical grid in your home as a broadband network without the need of additional cables. The device requires no setup - you just plug it in the power socket and you will have at your disposal an internet network with up to 500 Mbps transfer rate. Wi-Fi high gain adapter TP-LINK , TL-WN822N, 300Mbps, USB USB adapter TP-LINK to enhance wireless internet signal model TP-LINK TL-WN822N with 300 Mbps maximum data rate thanks to the dual antenna and quick and easy security setup - at the touch of one button (WPS). List Price 34.90лв. VAT Incl. 33.15лв. VAT Incl. 31.41лв. VAT Incl. Cable for antenna, N-Type Male to RP-SMA Female, TP-Link The TL-ANT200PT pigtail cable is ideal for flexible connection between outdoor antenna and router. Universal portable battery TL-PB2600, 2600mAh Portable charger with Lithium-ion rechargeable battery with capacity of 2600 mAh and USB output. Fully charged device can charge 8 times one standard smartphone. 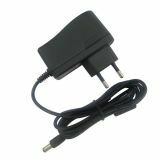 Adapter, 9VDC, 0.6A, 5.4W, 230VAC, 5.5x2.1mm, T90060-2C1 Charger for 3810 and 3810LED.